2" No Caulk Brass Drain, Stainless Steel, 4-1/4" tot. diam. Recommended for molded shower stalls where the drain is installed on the shower unit before it is placed. 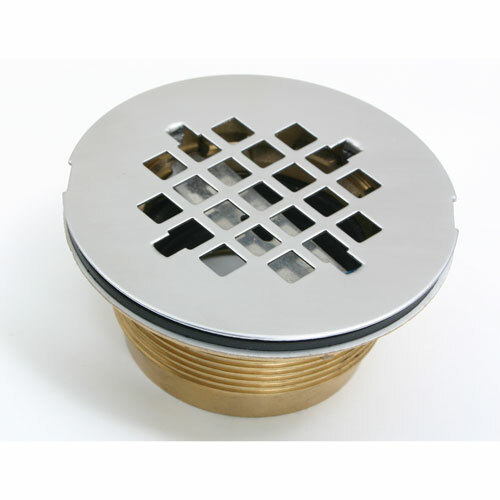 The drain is furnished with a stainless steel strainer, water-tight gasket amd securing nut.